AND ACROSS THE REST OF CANADA. LOCAL CANADIAN BASED SUPPORT & A CANADIAN ONLY SSAE-16 TIER 3 DATA CENTER. GRIP I.T. IS THE RIGHT PARTNER. BUILDING BUSINESS SOLUTIONS THROUGH I.T. GRIP I.T. GIVES YOUR EXPERINCE, EXPERTISE, EFFICIENCY & THE EXCELLENCE YOU NEED. PICK A BUSINESS SOLTUION THAT BEST FITS YOUR NEEDS. A FEW INTERESTING NUMBERS PRODUCED BY GRIP I.T. Every day, our clients globally rely on GRIP I.T. 's Managed I.T. services to keep their business systems running smoothly. You gain an IT partner who is on call 24/7. Whether we're resetting a password or adding a new user, getting clients up-and-running after natural disasters or remediating ransomware, our Support team is here for you when you need us the most. ... yes, that is petabytes!! Scalable and affordable solutions that offer greater up time than on-premise solutions. We’ve crafted cloud migrations solutions from on-premise infrastructure to the cloud for our clients. With our skillset, we can provide network infrastructure in the cloud, file sync & share, cloud hosted telephony solutions, and even cloud hosted backup and recovery. We offer IT security solutions and managed services for your business. Working with your needs, we can consult with you on how you can best utilize the latest technologies for your organization. You can expect reliable & local support from based from Richmond Hill. we can help with I.T. support, equipment advice, project management, and proactive maintenance. GRIP I.T. provides privately hosted data center solutions to meet the needs of small to medium-sized businesses. Our data lines never cross into the USA, and with backup sites across Canada; your data is always secure. We have a dedicated, responsive technical team who provide knowledgeable expert advice and excellent customer service. Need Help? Network Issues? Require Hardware? 1 → We take a proactive approach to managing your tech infrastructure. 2 → Not having a managed service agreement/SLA could cost your company time and money in lost productivity. 3 → With our onsite NOC & managed services, dealing with unexpected expenses goes away. 4 → Partnering with GRIP I.T. can be far less expensive than hiring, training, and retaining your own IT staff. 5 → Even if your business has an existing IT staff it can still benefit from our managed services. Our helpful and always ready experts are a click or call away. Anytime. Anywhere. IS BACKUP ALONE ENOUGH TO SUPPORT YOUR BUSINESS? ABSOLUTELY NOT. If a disaster strikes, executives or employees can access their data in no time by retrieving their data from the cloud on any computer, anywhere. Essentially, this method is a disaster recovery solution, perfect for any business looking to secure their data as best as possible. Take a look at our business continuity for a better understanding of this solution. We are extremely happy with the level of backup services and business continuity! Not only did we save about 30% on our monthly costs from our previous provider, we have gained a significant advantage in have GRIP it as our technology service provider given their valuable technical and business acumen. GRIP it ROCKS! We have used their services for well over 8 years and are continually impressed with level of dedication and service. We use them as our IT service provider, and are ecstatic with our high-availability systems and features! We have saved quite a bit on our monthly charges so much so that we are now using them for their other networking services as well! I am pleased to endorse Goldstein Ramball and GRIP it. As a professional in this industry, Goldstein strives to deliver excellence to all his clients. GRIP it provides excellent customer service and executes projects in a timely manner. Delivering on time and on budget is a priority for GRIP It. The IT strategy, infrastructure and web programming they provide delivers great value for their clients. 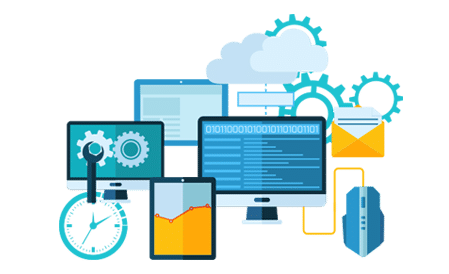 GRIP IT provides a well-trained and well equipped support system for our corporate IT requirements and delivers this in a timely fixed cost program billed monthly which allows to make accurate budgeting decisions. Their package and pricing structure allow us to find the right fit for our needs. On even entry level packages you still receive the extensive experience that the company offers to each and every client. I would highly recommend GRIP IT as a trusted Business System and IT Solutions provider.